Get connected with this 18kt white gold pendant! 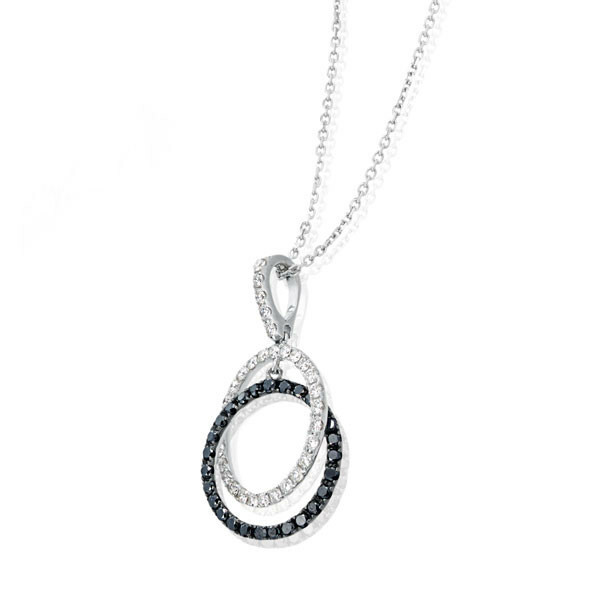 Sixty-nine black and white diamond stones interlock harmoniously in two interlocking circles. They're suspended from a 16" white gold chain by a diamond bail. What's the black and white statement that comes to your mind to sum up this pendant necklace?